I purchased A Tangled Mercy by Joy Jordan-Lake through Amazon's Kindle First program for Prime members in October of this year. Each month, Amazon offers one free e-book download from a selection of newly- (or soon-to-be) released novels. This particular month, a hard copy was offered at a discounted price. The synopsis of this story intrigued me. The protagonist, young graduate student Kate Drayton, is in the midst of what some might call a quarter-life crisis. Her mother has recently died. She's never had a solid relationship with her father. And she experiences a bit of an emotional breakdown while teaching at Harvard. All of this compels her to travel to Charleston, South Carolina, where her now-divorced parents met. While there, she works feverishly to finish her mother's research on the failed slave revolve of 1822 in Charleston, in hopes of saving her own academic career. The story is told in alternating time periods, 1822 and 2015, both set in Charleston. It is part historic (There was really a failed slave revolt in 1822, and some of the characters the author references are real people from the 1800s. ), part mystery, and part drama. The hard copy is about 430 pages, but it doesn't feel like that at all. The pace is good. 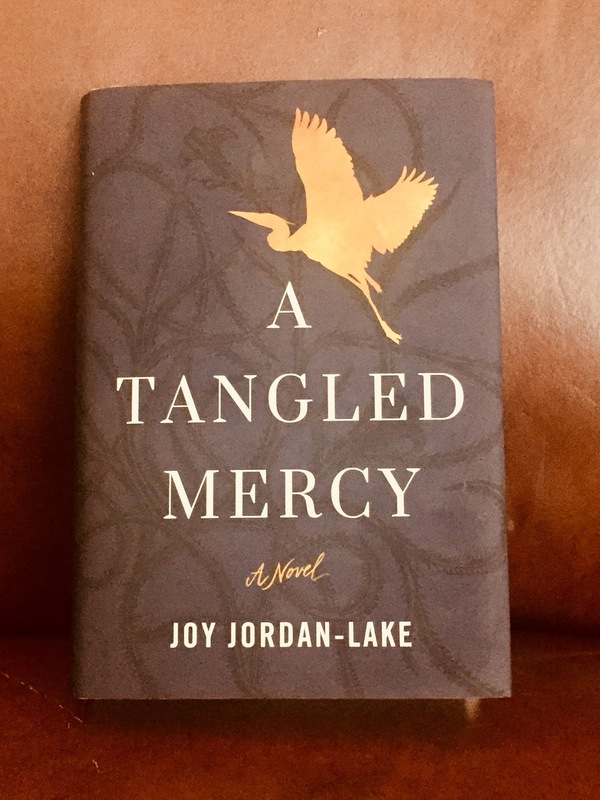 I often found myself racing through chapters as Jordan-Lake would leave a cliff hanger at the end of one time period then switch to the other time period and leave yet another cliff hanger in the very next chapter, motivating me to read much more than a page before bedtime. While some have criticized how the author concluded the story (no spoilers) and merged the two time periods together, I quite enjoyed it. The book does end with everything tied neatly in a bow and all the big questions answered. Usually this seems trite to me. But for whatever reason - the author's talent, the time of year, personal things going on in my life - I appreciated the ending. It was complete and hopeful, and we all could use a lot more of that right now. Recommendation: This historical fiction novel is a great read for any time of year. I finished it in about a week. I would recommend it to anyone who enjoys mysteries and would also like to expand their knowledge of the oppressive American institution of slavery.